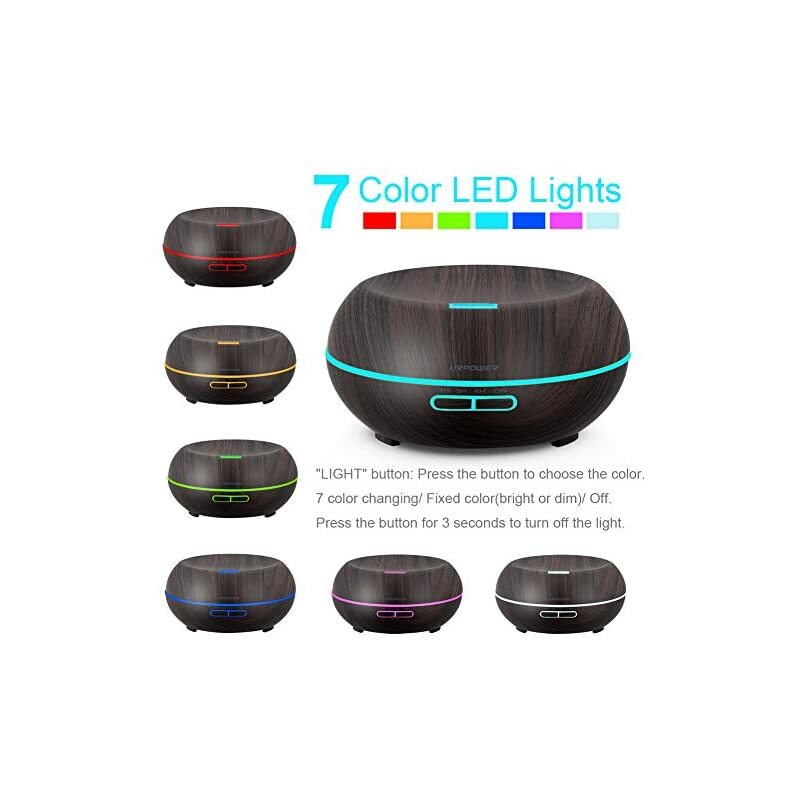 4 Timer Settings and Auto Shut off: 4 time setting modes: 1H/ 3H/ 6H/ ON/OFF. 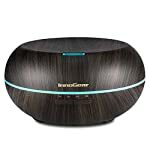 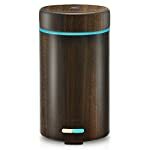 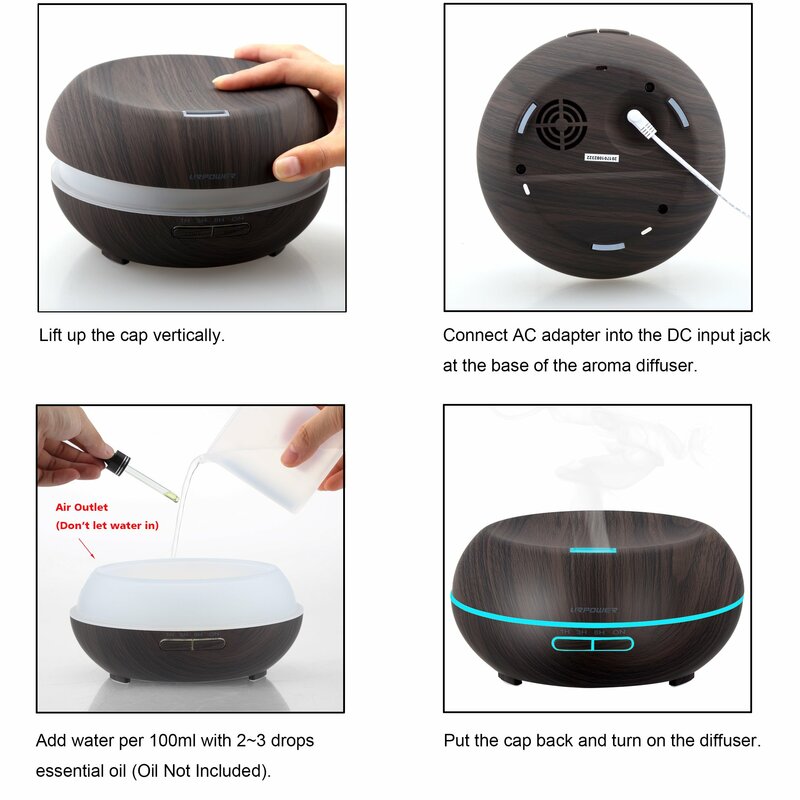 Diffuser automatically powers off when water level is too low. 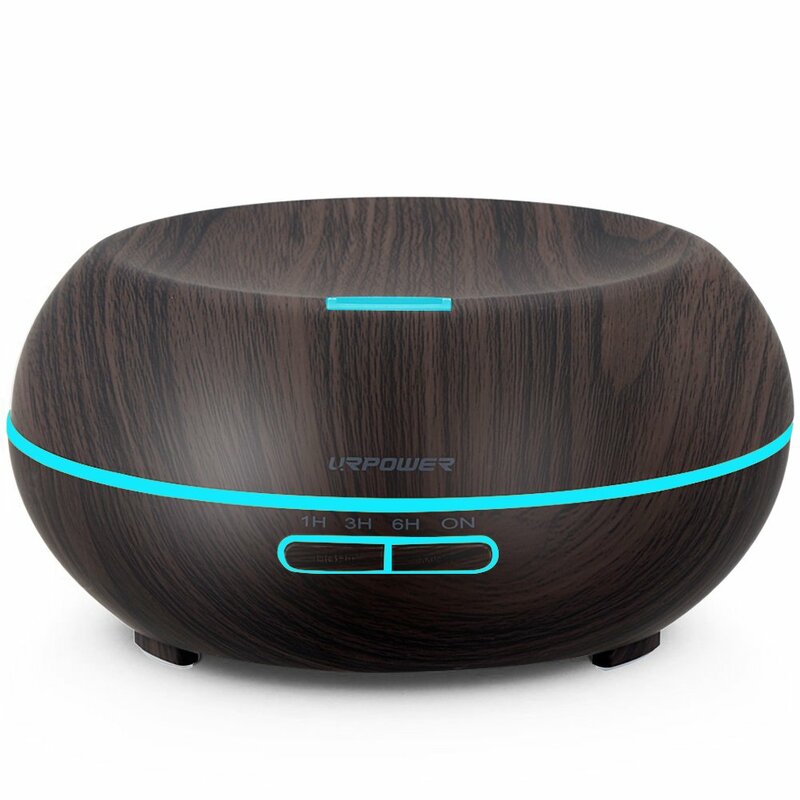 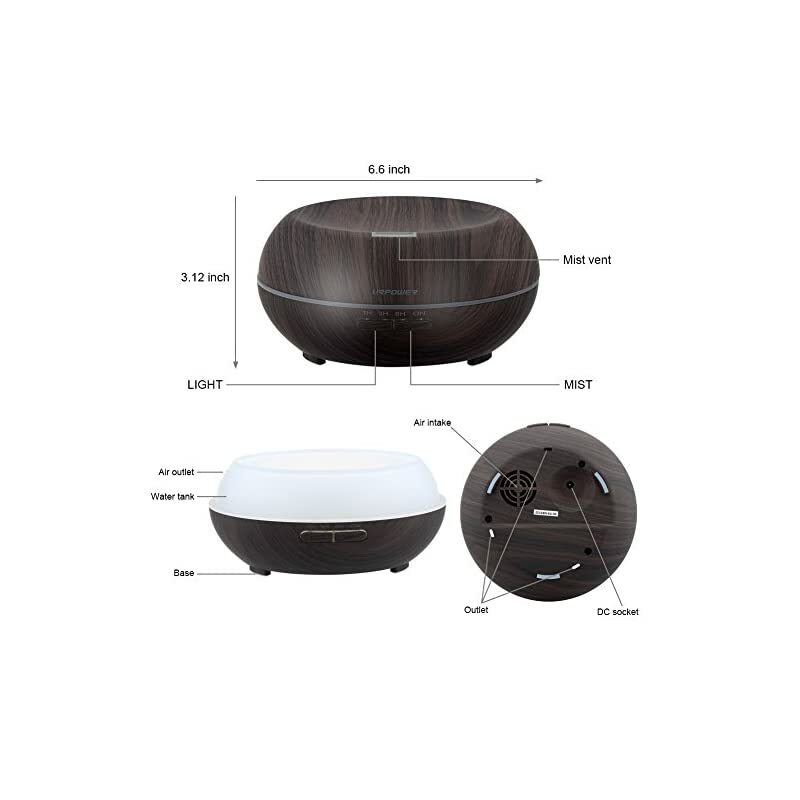 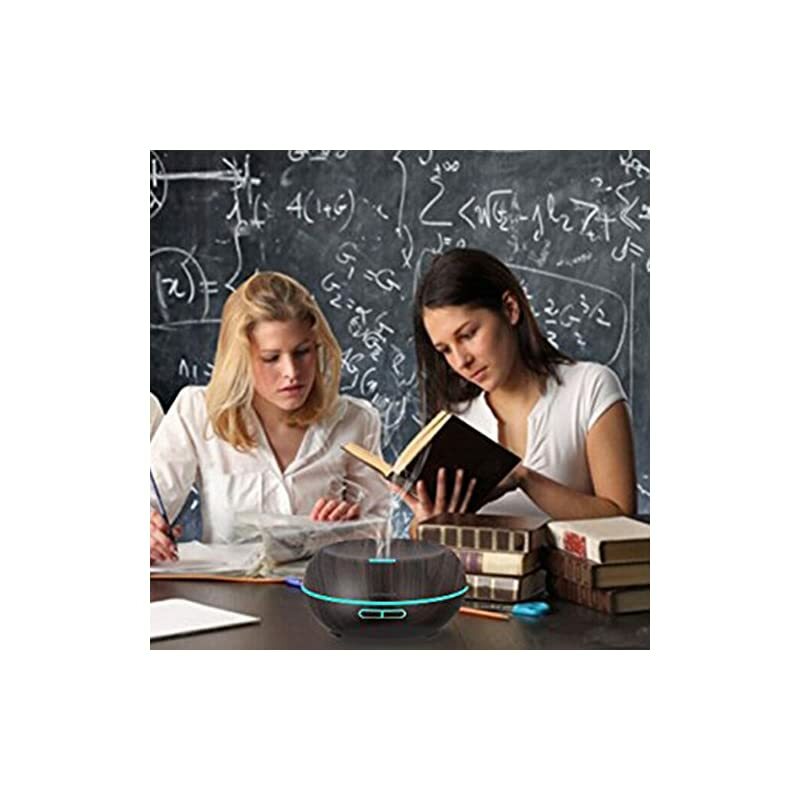 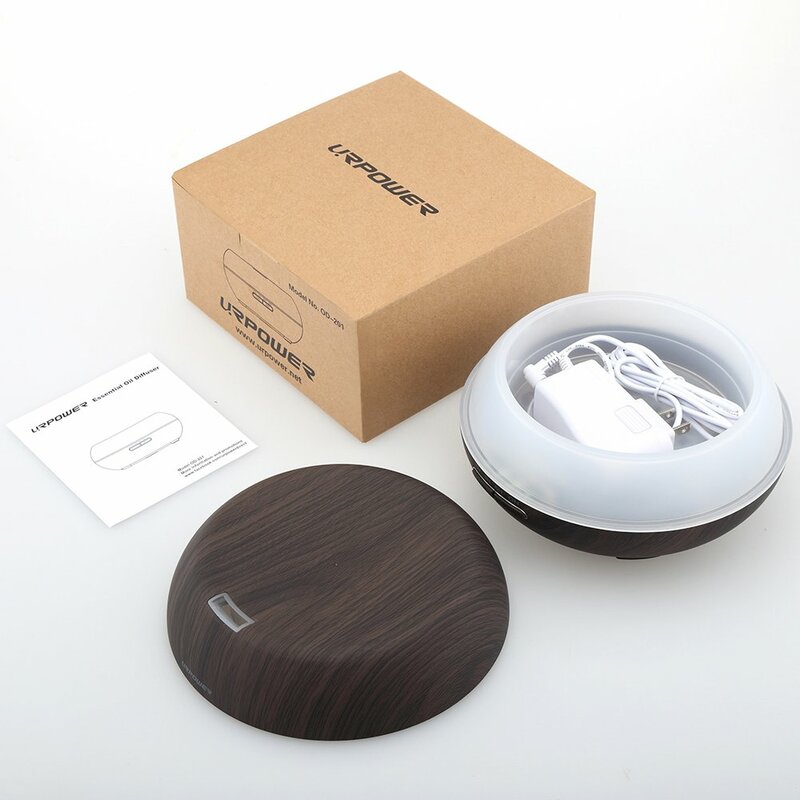 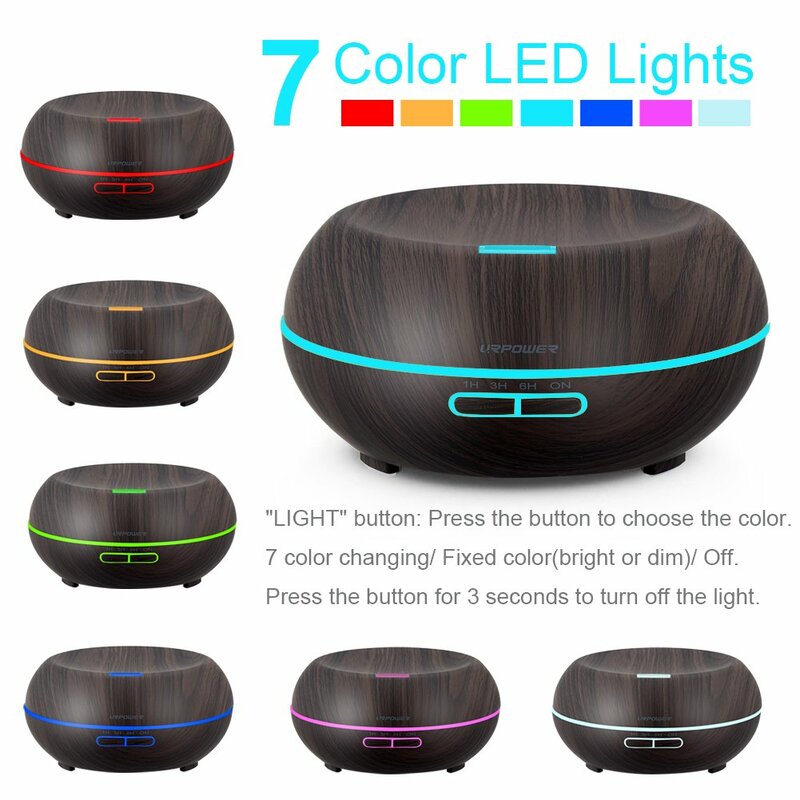 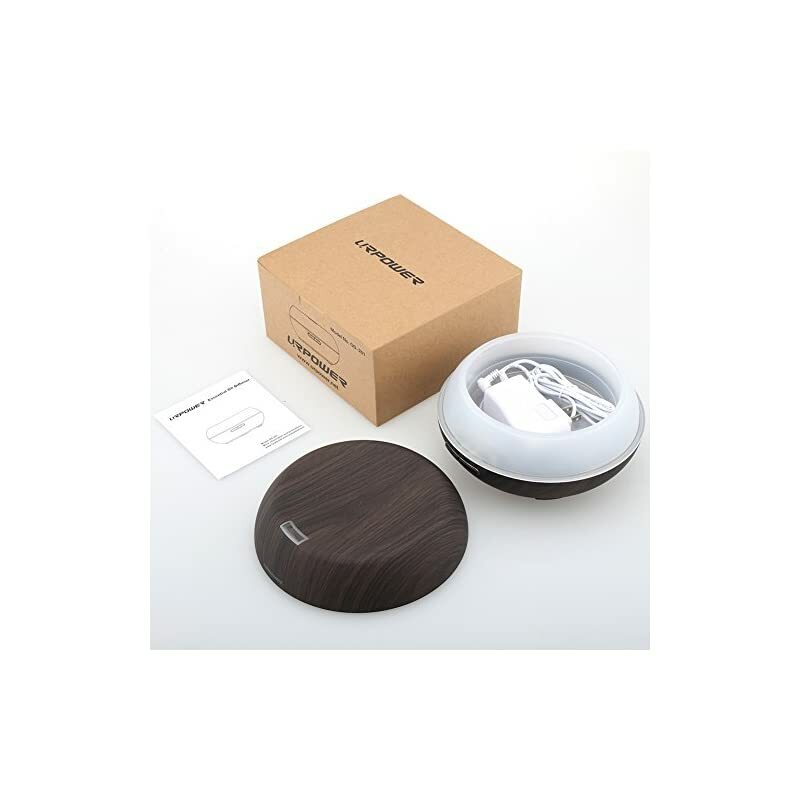 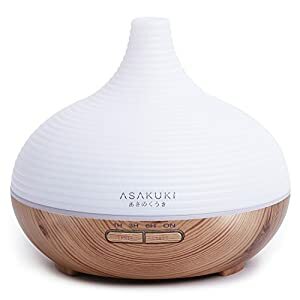 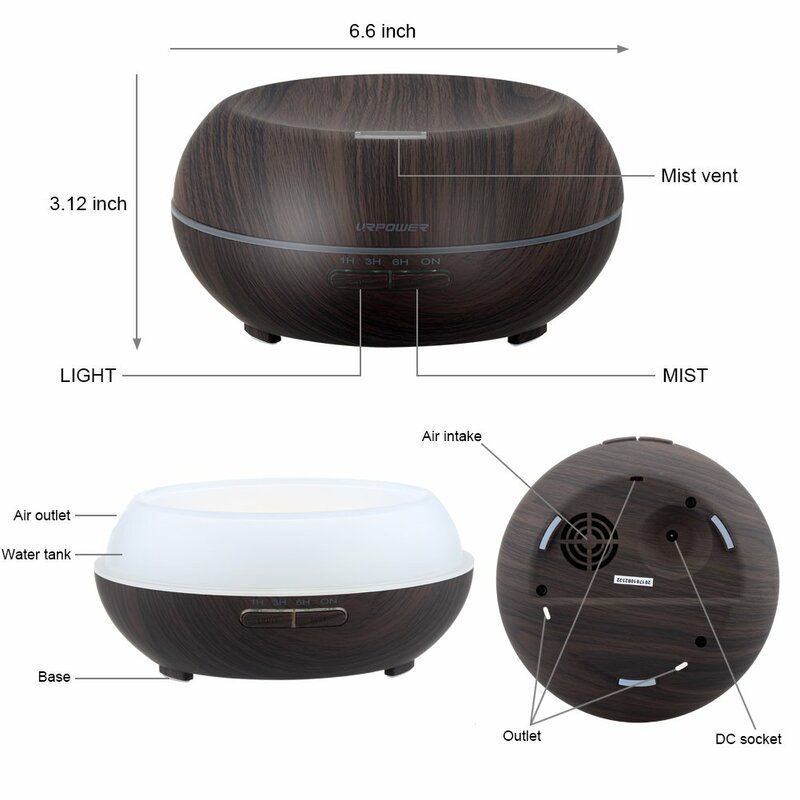 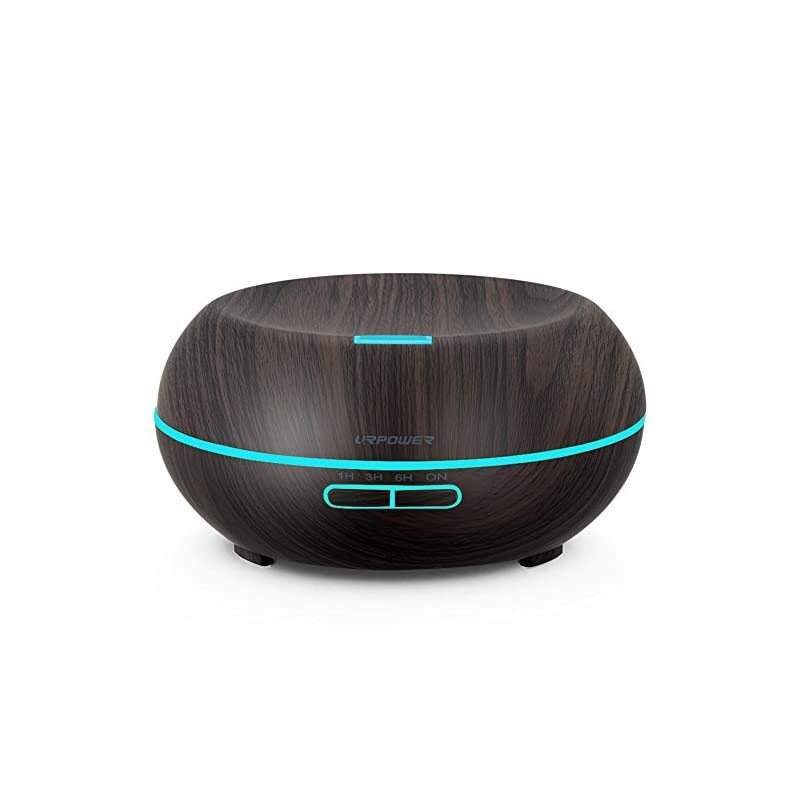 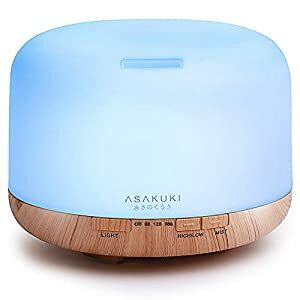 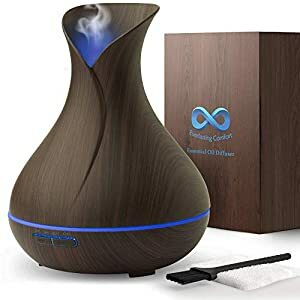 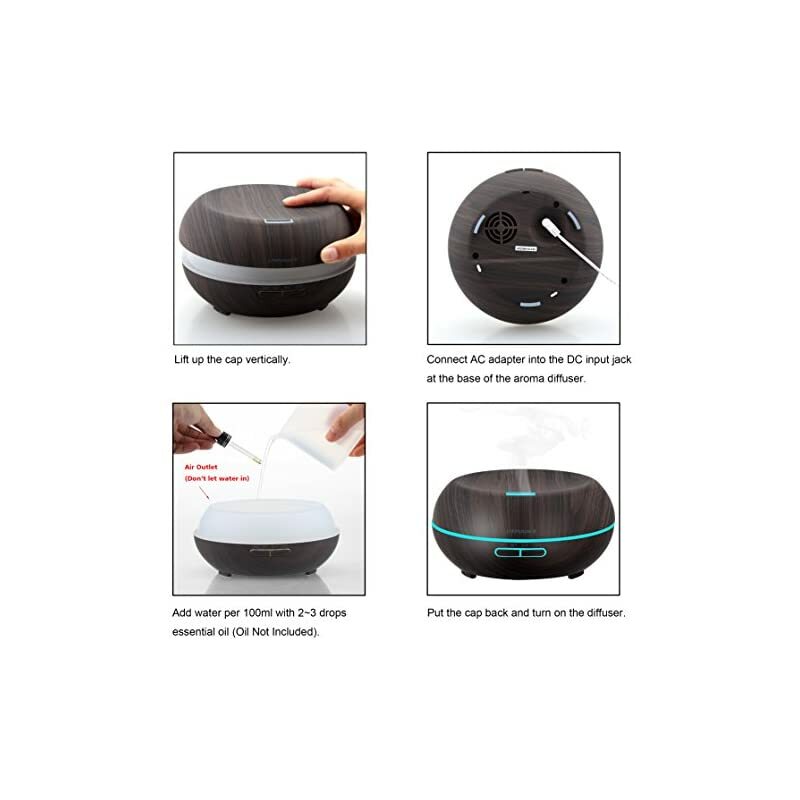 Mulfunctional: Aromatherapy diffuser adopts ultrasonic technology, this diffuser is extremely quiet when working. 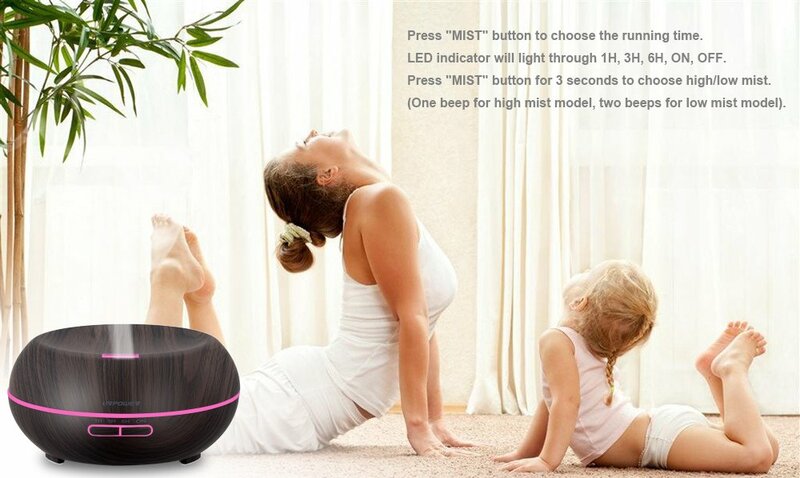 It gives out ultra fine and smooth mist which can soften and moisten dry and chapped skin in winter. 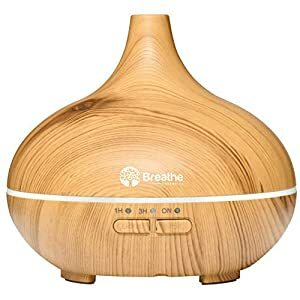 It also helps you breathe better when your are sleeping with air conditioner on.